About College: Govt. Women Engineering College Ajmer holds the privilege of being first Government Engineering College for Women in the north India. Honourable Chief Minister laid the foundation stone of this college on 30th April, 2007. Ajmer an oasis, enveloped in the bewitching brownish hilly terrain, founded in the 7th century A.D. by Raja Ajay Pal Chauhan, lies in the heart of Rajasthan. The city, an exotic land of valiance & chivalry and historical centre of pilgrimage, is renowned for an amalgamation of various cultures & traditions of Marathas, Chauhans and Mughals and undoubtedly, for its fabulous quality education. The umbilical beauty of Ajmer lies in its religious & cultural unity in diversity.The fulcrums of Ajmer are Dargah Sharif Tomb of the Sufi saint Khwaja Moinuddin Chisti and sacred Pushkar, the abode of Lord Brahma. Ajmer, having a population of over 5 lakhs is well connected to the other major cities by rail and road. Training and Placement Cell is an integral part of the institute. The institute has provided complete infrastructure for effective functioning of the cell. The Training and Placement Cell, is a body of hyper active Staff and students. Student members are specially selected to carry out the responsible working of the cell. The TPC dedicates itself to help students develop their personalities and establish their careers. Assisting students in career-planning, employment and providing information on higher studies. Campus: Ajmer an oasis, enveloped in the bewitching brownish hilly terrain, founded in the 7th century A.D. by Raja Ajay Pal Chauhan, lies in the heart of Rajasthan. The city, an exotic land of valiance & chivalry and historical centre of pilgrimage, is renowned for an amalgamation of various cultures & traditions of Marathas, Chauhans and Mughals and undoubtedly, for its fabulous quality education. The umbilical beauty of Ajmer lies in its religious & cultural unity in diversity.The fulcrums of Ajmer are Dargah Sharif Tomb of the Sufi saint Khwaja Moinuddin Chisti and sacred Pushkar, the abode of Lord Brahma. Ajmer, having a population of over 5 lakhs is well connected to the other major cities by rail and road. The Sister City of Ajmer, Pushkar is only 11 Kms away from the city. The road to Pushkar passes through the Nag Pahar or the Snake Mountain. It is a sacred city of Hindus and boasts of the only existing temple in Asia dedicated to Lord Brahma. According to Hindu Mythology, this lake was formed when a lotus flower fell in the valley from the hands Lord Brahma. There are 52 bathing ghats around the Pushkar Lake and each of them is supposed to be endowed with special mystical powers. For instance, the Naga Kund is for fertility, the Roop Tirth is for beauty while the Kapil Vyapi Kund is said to possess powers that can help cure Leprosy. The famous Pushkar fair is held every year on the Kartik Purnima (Full moon during the Hindu month of Kartik). This fair is famous for its animal bazaar where cattle and herds of camel are traded between villagers from nearby. A time for celebrations and festivities is made bright and colourful with folk dancers and traditional folk musicians performing round the clock. Central library: GWECA has a good library which aids all aspects of academic progress with a seating capacity of 100 students at a time. The library has more than seven thousand books and myriad national journals, magazines, newspapers and other learning material. For the students? benefit, the library has a book bank scheme. The library is open for nine hours on all working days. Hostel: One of the key contributors to intensive and effective learning experience is the living conditions of the students. 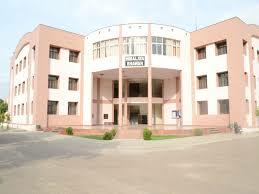 The institute provides hostel accommodation for girls. Girls’ hostels hired by Engineering College Ajmer Society ensure privacy and homely atmosphere. The single and double seated rooms are neat and clean, spacious, airy and well ventilated with sufficient number of toilets and bathrooms. The well balanced nutritious vegetarian food prepared in the kitchen is served in hygienic conditions. The hostels ensure congenial atmosphere for academic development of the students.